Head over to get this LEGO Friends Mia's Tree House for ONLY $17.99 (Retail $29.99)! 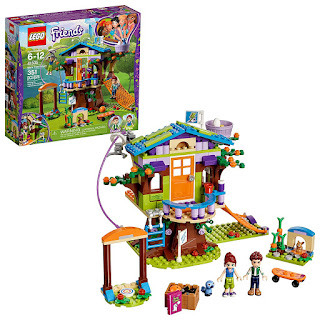 This LEGO Friends 41335 Mia's Tree House construction toy is packed with features and details to create hours of fun for Mia, her brother, and any friends who might come to visit. There's a folding ladder, scramble net and a zip wire for access to and from the second floor, plus a water gun, a book of ghost stories, artwork tiles, board game, pizza, sports equipment, Mia's skateboard and much more inside. Includes 2 mini-dolls plus 2 animal figures.